Welcome to Post 9 of the Star Light, Star Dark Quilt-a-long! 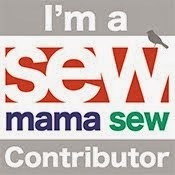 Today we'll talk about QUILTING (my favorite part of the quilt-making process). I'll also provide some resources for basting and binding your quilt. Next week, the FINAL linky party opens up (and stays open until October 3)! 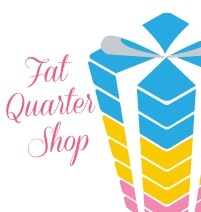 To be eligible for prizes from the fabulous QAL sponsors, you must enter your finished quilt top OR finished quilt into the Final Linky Party, which runs from September 19 - October 3. I will draw random winners (using the Random Number Generator) in both Baby and Lap size categories. There will be 5 winners total! Everyone has a different opinion about how to quilt quilts. Should you go super simple or super detailed, you're bound to make a beautiful masterpiece! 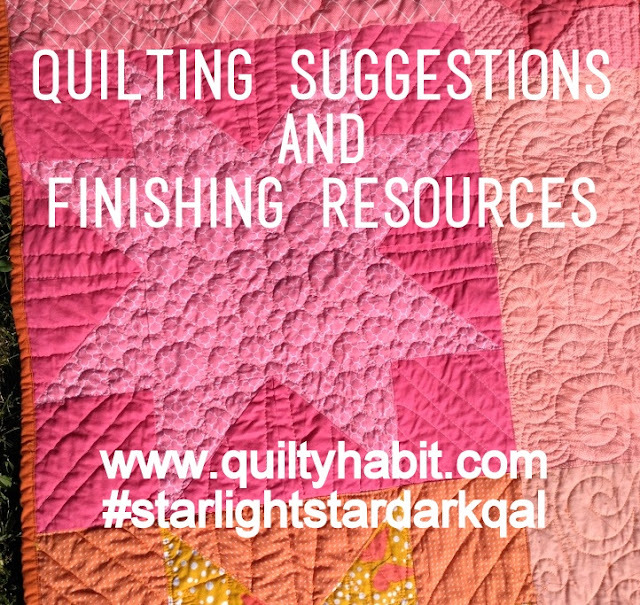 Many people send their quilts out to get longarm quilted, and that's fabulous, but I highly encourage you to try and quilt on your own, for so many reasons! Number one being you'll finish the whole quilt from beginning to end by yourself, and that is a huge accomplishment! I have written about this topic in the past, which you can see right here. You could quilt wavy lines similar to those I quilted on one of our guild's Quilts for Pulse. This quilt also provides the opportunity to quilt the stars densely and the backgrounds less so (and vice versa). 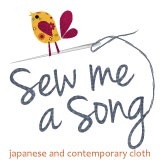 This option would be best for someone who has experience with free motion quilting already. 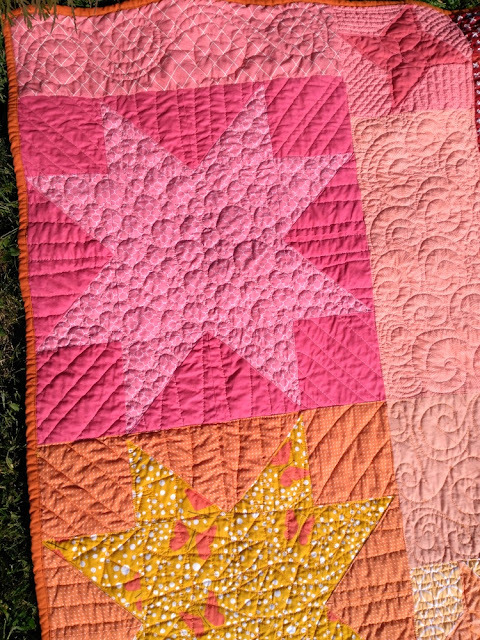 For my second quilt, I used my free motion foot (or darning foot) to make organic, wide-spaced lines in the star backgrounds, and filled in each star with a different motif. I outlined the smaller stars (left the points unquilted - they pop out!) and quilted the middles with orange peels, my favorite symbol. You could also quilt an all-over motif (a design that spans the whole of the quilt). I'm partial to loops and spirals, but you could do anything! 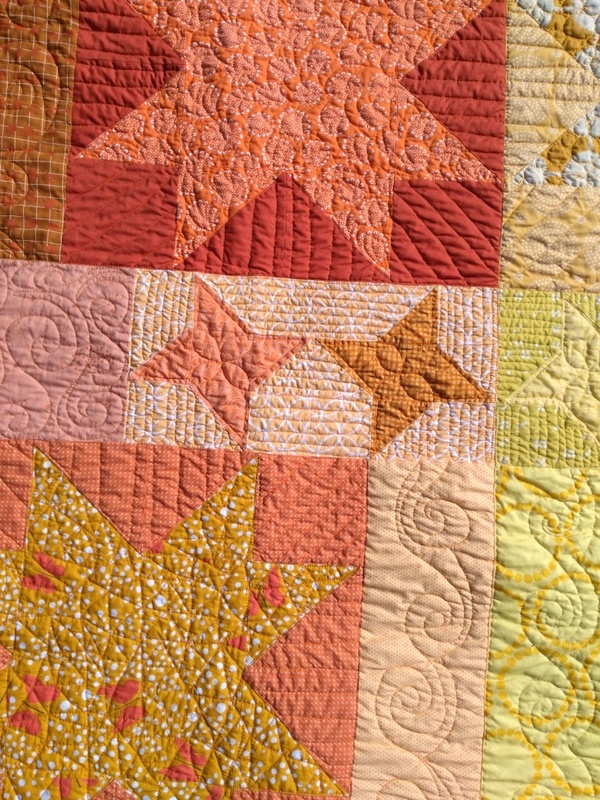 Hand quilting would be a beautiful way to accentuate the star shapes. These are just a few options. I can't WAIT to see what you do! Remember, both finished tops and quilts will be eligible for prizes, but this is your chance to finish up the whole quilt if you can! 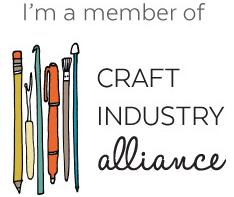 Feel free to tag me on Instagram, use the hashtag, and/or post to our private Facebook group to share your quilt. I personally prefer to spray baste with 505 spray - it's fast, easy, and holds everything together quite well. 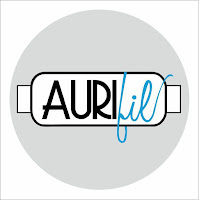 Here's a tutorial by Julie (The Crafty Quilter) on trying it out. 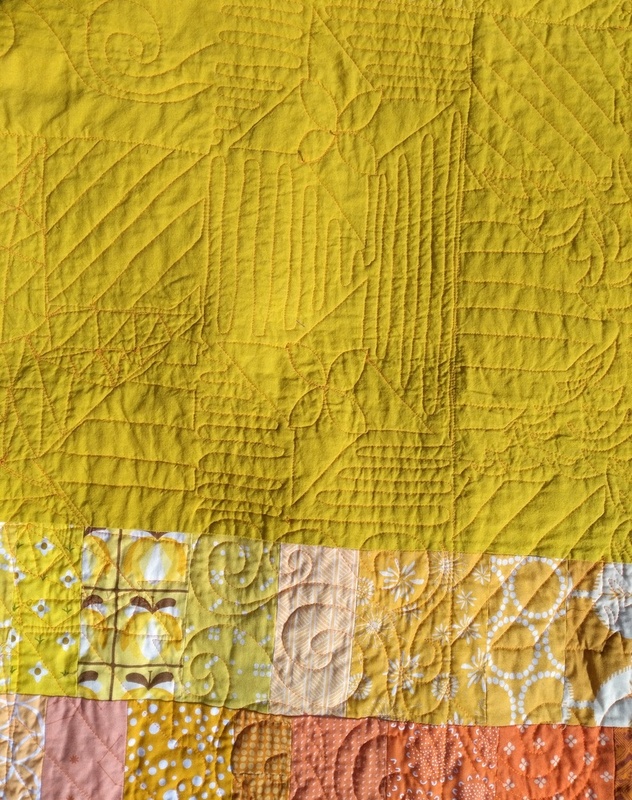 Here's a tutorial by Heather Jones for Sew 4 Home on walking foot quilting with straight lines. 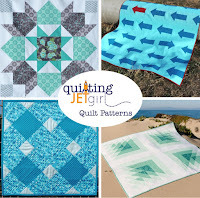 If you'd like to learn how to free motion quilt, I highly recommend Free Motion Quilting with Angela Walters. I gained so many tips and motifs through that book; I still refer to it all the time. You can buy it directly from Angela. If you'd like to try hand binding, see this tutorial from Jera Brandvig of Quilting in the Rain. This tutorial by Ashley Hinton of Wasn't Quilt In A Day is the ONLY one that made sense to me as I learned machine binding. Check it out! 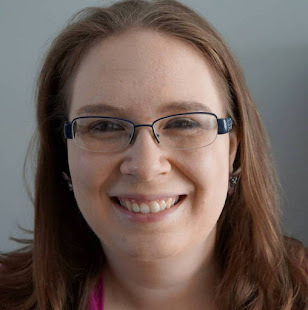 September 12: Quilting Suggestions << you are here! So many options. Having been quilting for a short time (just over 2 years), I am usually afraid of attempting anything other than a simple all-over meandering. 'May attempt some wavy lines this time. I just esp. love those spirals on your first QAL quilt. 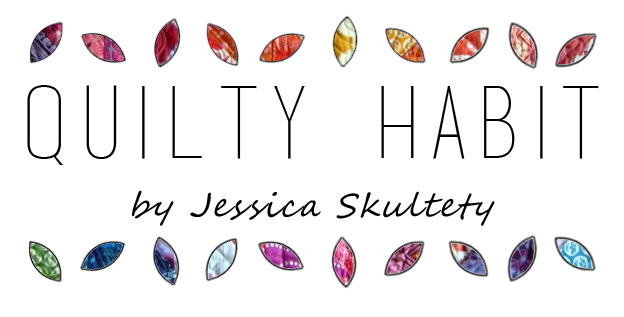 This has been a really fun QAL, Jess. I'm excited to see all the different ways the quilts are quilted and finished! OH I am going to finish this quilt. I have to. So I already shared the quilt top on FB and I think on Instagram. I am going to start quilting a little bit every day. I do not think I am going to do anything fancy..... I am kinda worried about running out of thread, and whether i should use different thread for each section?? so many complicated brain exploding decisions. Should I use light thread over the whole thing? will it look terrible? Mean time.... life goes on, so it is best not to hedge too long. Thanks for the update Jessica.